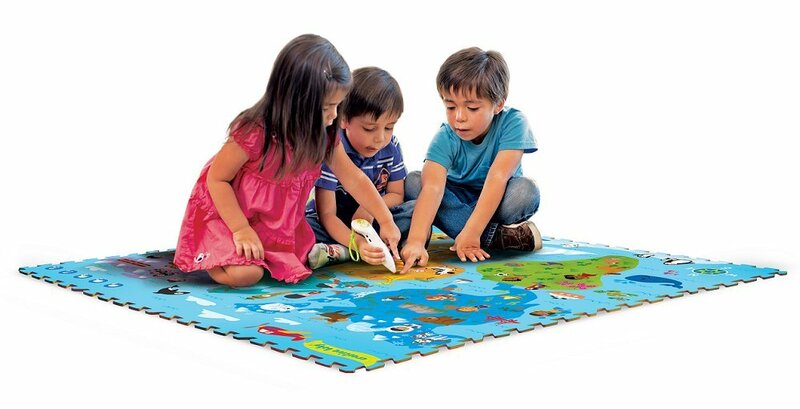 Protect your little ones and your floors with the wonderful sturdy play mats. 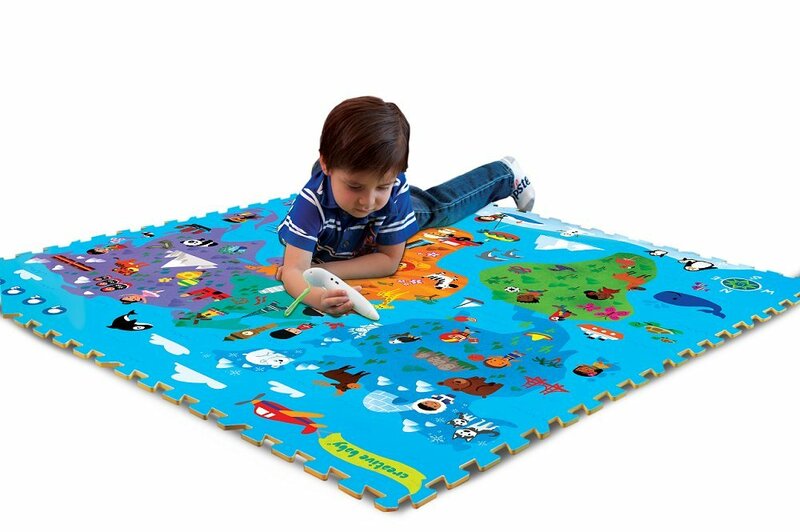 The colorful illustrations encourage your little ones to crawl and explore the wonders of the world. 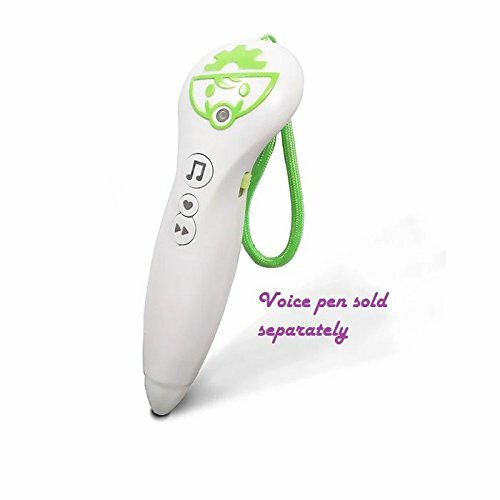 Makes for a great gift that encourages hand-eye coordination and helps improve language recognition with Voice Pen(sold separately). Go on safari, fly in a hot air balloon, and visit incredible landmarks right at home! There are white people in Europe, North America, Australia and even Antarctica; brown people in South America; Asian people on Asia. Heck! There is even an Eskimo and Hawaiian in there regions, but no Black people in Africa!?! There is a white man in South Africa! WTF! Actually, there are No BLACK PEOPLE in this WORLD PERIOD! Creative Baby SHAME ON YOU! Africa is more than just monkeys and lions. Pun intended. I wish I noticed this before purchasing. Refund please. 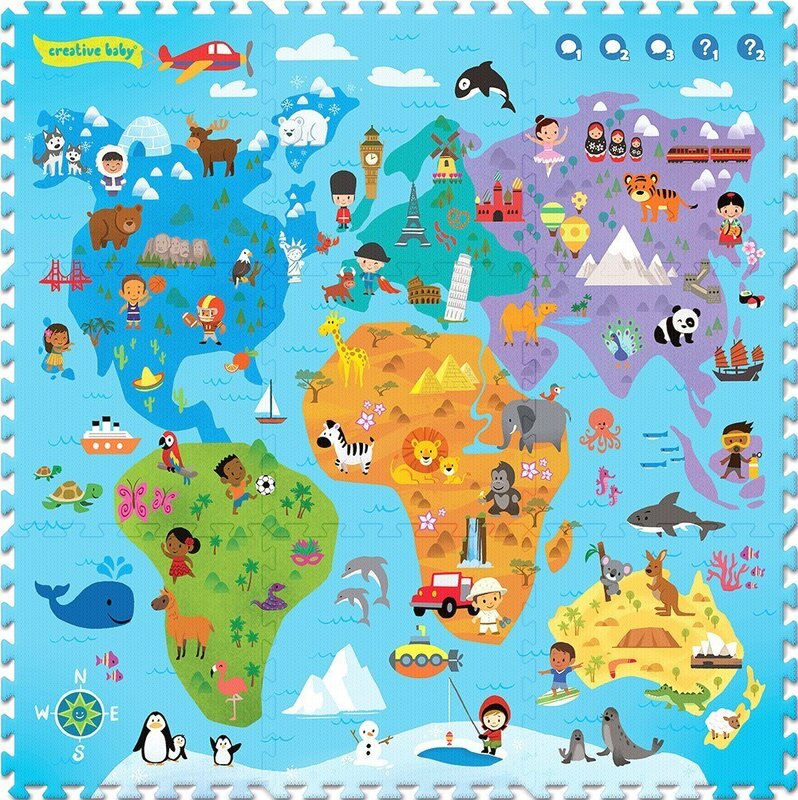 I saw a previous review that stated there isn't a single black person represented on this map, not even in Africa (which they have a white person in South Africa), yet they even have Eskimos represented... The mat is great quality but that lack of representation really is a shame. Love this floor! Looks like very good quality and pretty design. Better than expected. Love this purchase. Vibrant colors and super comfortable. The tiles fit together seamlessly. Great customer service. The pen with it is awesome! Super cute! Just wish it was a little bigger to fill playpen. 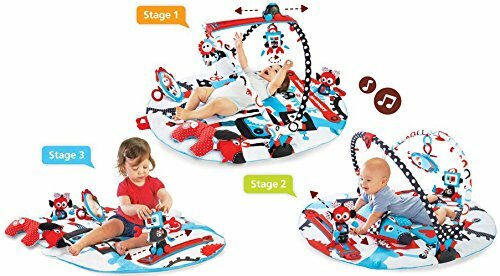 Love it, the colors are vivid and the foam is soft enough for crawling baby. Love this mat’s design (except for the light skinned safari tourist in Southern Africa, as someone here pointed out), but it started to wear out within a month of using it. There are white dashed lines that have appeared across large swathes, and the corner links are all wearing out too.